Are you like every other homeowner out there, looking for ways to improve the style and comfort of your dining room? Or perhaps you are moving into a bigger home and now you need a dining room set for your new space? With so many dining furniture options out there it can be an overwhelming task to choose a style that suits your space and lifestyle. Look no further because we have a few insider tips that will help you find your style, whether you are looking for a full dining room set, a dining table or chairs to match your existing one - these top tips will make your decision so much easier. First things first, think of your overall colour palette and architectural design of your space. It's always good to start with a neutral base and then add colour by bringing in other elements into the space such as chairs and decor accessories. Secondly, you need to measure your space, this will make shopping for furniture so much easier. When buying a dining table, it is good to follow the ⅔ rule - which means that your dining table takes up ⅔ of the length of the nearest wall. Another consideration to keep in mind is how many people you are planning on seating around the table at a time. If you are like us and you love to entertain, then a larger table or better yet an extendable table will be the perfect fit. Remember the extra chairs too. 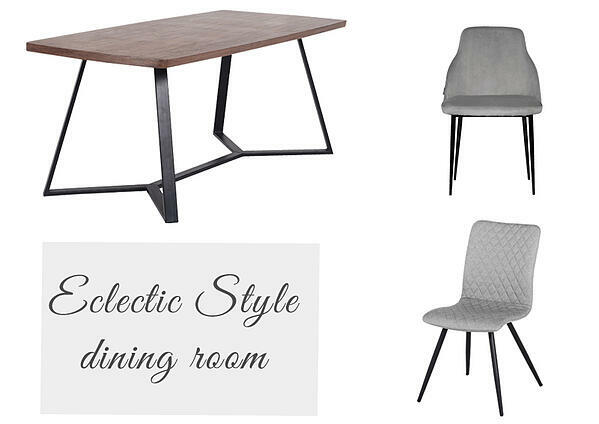 Without further ado here are our top picks of dining room styles. 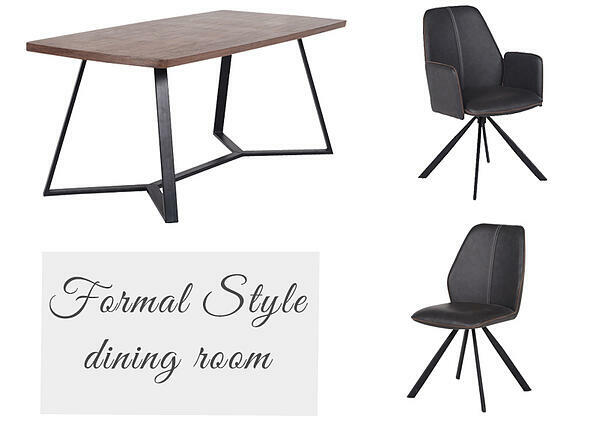 This style is defined by hard lines including a square or rectangular dining table. Ideally, this dining table is accompanied by matching dining chairs. A formal dining room typically has a complimentary credenza, whilst contrasting artwork bring life to the space. 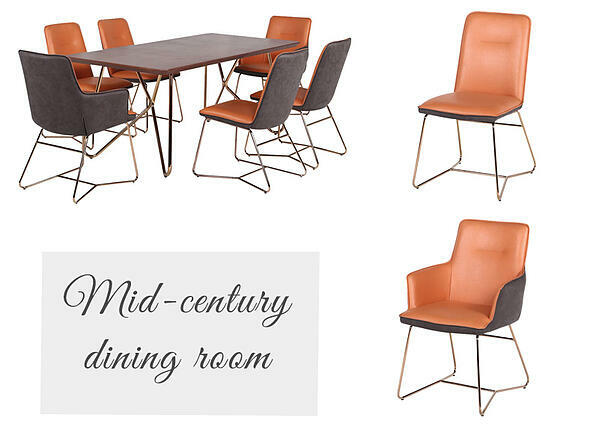 A mid-century modern dining room draws from organic influences and simple forms with an emphasis on function. Bright hues and earthy colours work well with this style. The great thing about this style is that you can easily incorporate it with other furniture items or decor pieces within your home. If you love being different then break the rules with this style but be careful not to go overboard. To master this look mix and match furniture pieces in a unifying theme or colour to tie everything together. An eclectic dining room is typically defined by its visual interest but at the same time, everything works in harmony. The contemporary style capitalizes on what's new in design. It is not defined by a specific trend but rather a reflection of current looks and unexpected design elements and features. 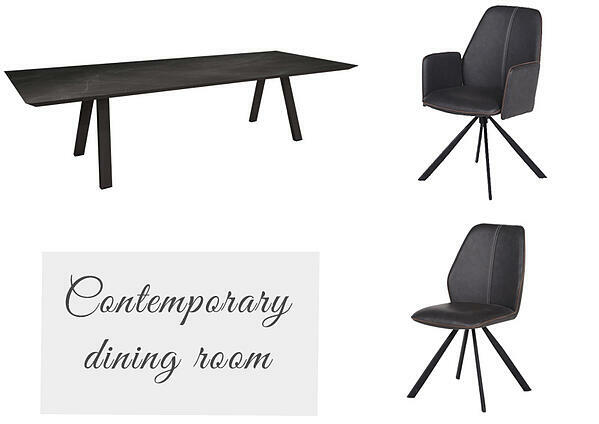 There you have it, the four top dining room styles for you to choose from. We hope that this post helped you figure out what style to go for. The most important consideration is choosing the right size table, so remember to measure your space as well as the dining table before making the decision to purchase. Got your eye on one of our dining room pieces? Visit one of our showrooms in Paarden Eiland, Sea Point, Pretoria, Fourways, Illovo or Durban to try it out.